Advance Registration is now open for the 146th International Audio Engineering Society Convention, taking place March 20 – 23 at the Convention Centre in Dublin, Ireland. 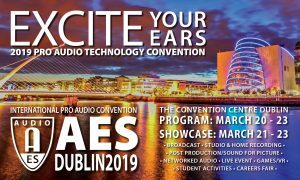 Featuring four days of in-depth Technical Program sessions and events, along with three days of the Product Showcase, AES Dublin is set to exemplify the theme of “Excite Your Ears” with audio engineering educational experiences, networking, and more. Attendees have a variety of registration options, including premium one-, two-, and four-day All Access badges as well as Product Showcase-only badges, with money-saving Advance Registration rates available for a limited time. Substantial AES Member discounts, with even lower rates for AES Student Members, are available, including free Product Showcase advance online registration for Members. Organized by AES Dublin co-chairs Enda Bates, Ben Kok, and Mariana Lopez, the convention will immerse attendees in all things audio, with over 200 sessions including a comprehensive papers, workshops, and tutorials program offering the latest insights in the industries of Broadcast Audio, Studio, and Home Recording, Post-Production and Sound for Picture, Networked Audio, Live Events, Games Audio, VR/AR/XR, and more. Program details are coming online now at aeseurope.com. 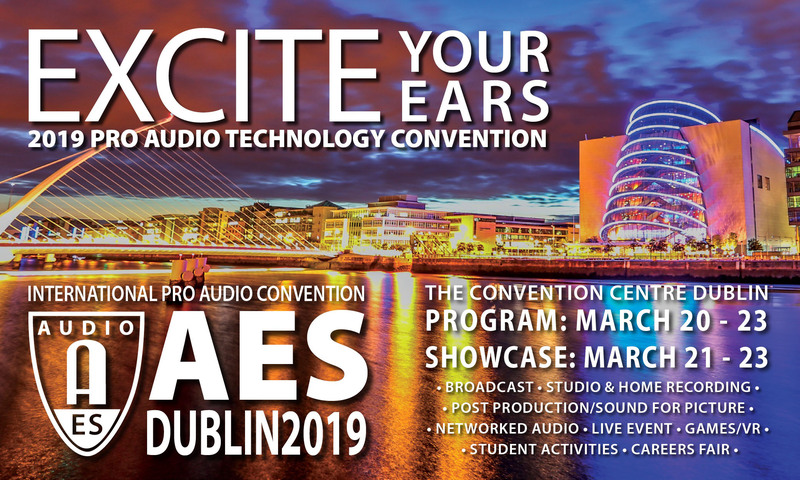 In addition, all AES Dublin attendees, including Product Showcase badge-holders, can explore the hardware and software on display and interact with professional audio manufacturers and distributors participating in the Professional Sound Expo, learn from renowned engineers and producers presenting at The Recording Theatre and dig into specific aspects of postproduction, broadcast, and AoIP in The Production Theatre. Additional convention programming includes Student and Career events, offsite Technical Tours of area production facilities, comprehensive papers, workshops, and tutorials program, Audio Showcase events, and other AES-exclusive sessions hosted by industry-leading engineers and experts.